Last full day in London. Day trip to the country cancelled. No pleasant country stroll around Cliveden or lovely boat trip on the ever so posh Henley-on-Thames. It will be a theatre day, and why not. As it should be for two theatre junkies on holiday in the West End. 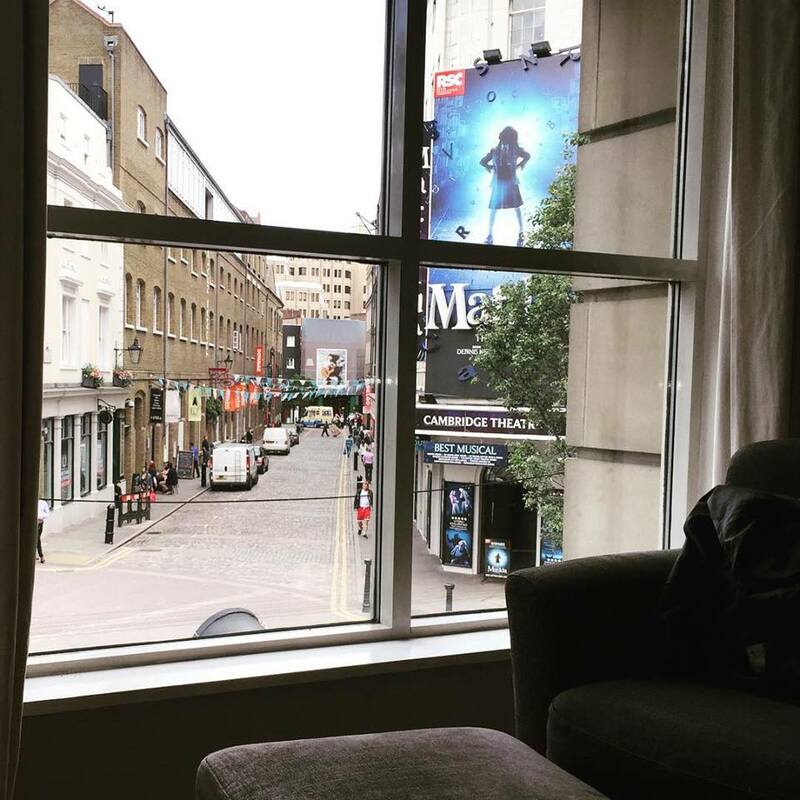 A two show theatre blow out to end our stay in our perfectly charming flat over looking Seven Dials (and the Matilda marquee) in Covent Garden, London. 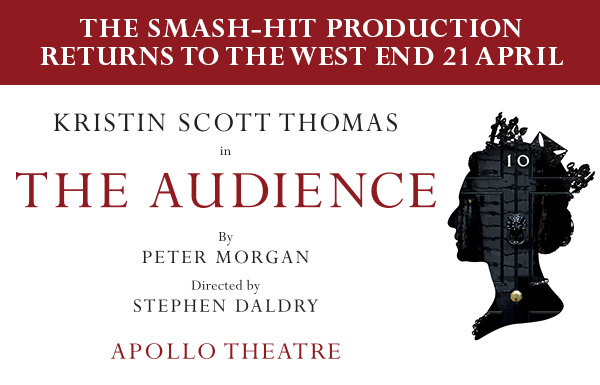 First stop is the TKTS booth in Leicester Square to snag some tickets to see Peter Morgan’s The Audience. I never did get a chance to see it in NYC with the delicious Helen Mirren. I must admit I wasn’t all that interested. I mean, I think she’s an amazing actor but the play didn’t excite me all that much and I felt that I saw Mirren play the Queen already once, wonderfully I may add, but it felt a bit redundant. 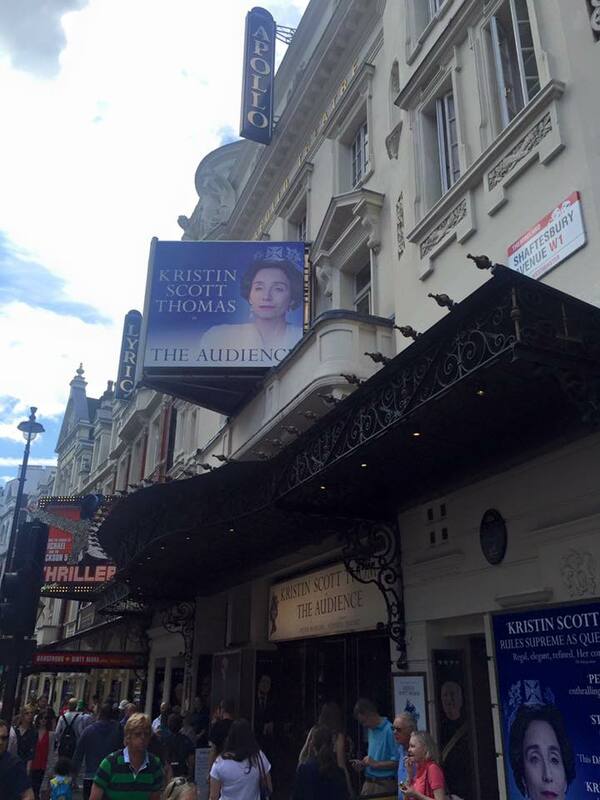 Here was an opportunity to see this play, which I think will play even better in London, AND this time with the even more delicious Kristin Scott Thomas. That sounded too wonderful to miss. And even though I think I was wrong about the Broadway remounting, I was so right about the West End production. 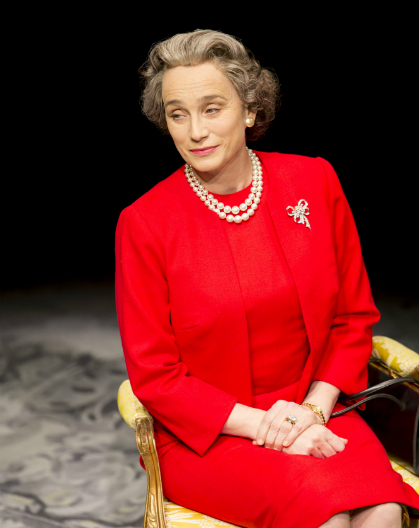 Kristin Scott Thomas was magnificent in the role of Queen Elizabeth II. The Audience, directly spectacularly by Stephen Daldry, is a fascinating play, not so much in plot but in structure and historically interesting moments. These fly-on-the-wall experiences are captivating, at least for this Canadian, and being in a crowd of Brits, made the viewing much more layered. The audience’s reactions to gestures and facial expressions of the various Prime Ministers, although lost on Antonio and I, told us that there was more going on then the obvious, and made it all more thrilling. It’s a beautifully crafted piece of theatre, letting us in on very private moments of the monarchy and of England itself. And Thomas gave us a layered intimate connection with a very private person who’s also a very public figure, gracefully, and with such attention to detail and subtlety. She granted us the impossible feeling that we were witnessing what it must be like reigning as the Queen of England, and what she must be like as a person, and not a monarch. We ultimately know we are being played, but we want to believe, and so we do. For the last show of our London theatrical tour, we chose a small revival over at the wonderful Trafalgar Studios, one of my favorite spaces. I remember seeing a wonderfully emotional revival of Bent there many moons ago, and so I was looking forward to seeing, what is considered, the first AIDS play, As Is. 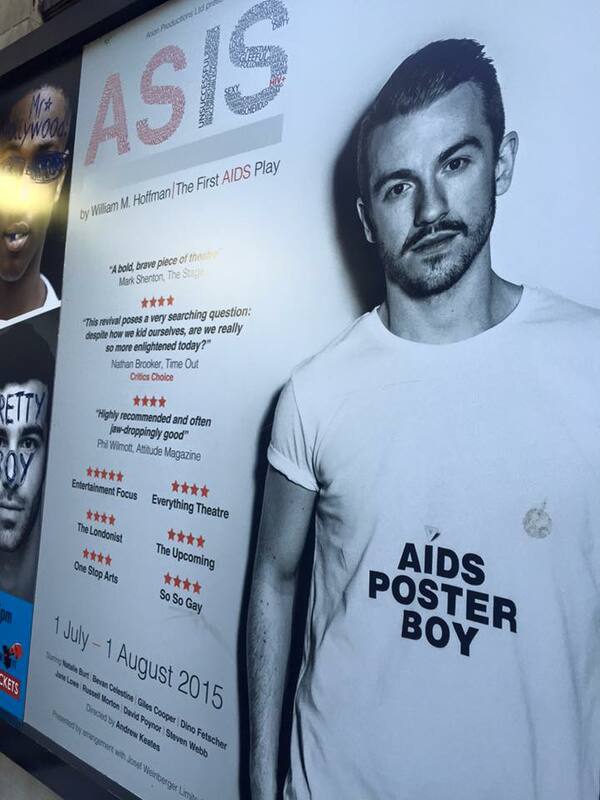 Andrew Keates directs this revival of William Hoffman’s 1985 play about the AIDS crisis in New York City. This play rocked the NYC theatrical world when it premiered, nominated for a Pulitzer Prize and a Tony Award and also, that production, which my theater companion saw, won both the Drama Desk and the Obie Award that year. It was quickly followed by The Normal Heart and then, years later, Angels in America kept the conversation going and growing. 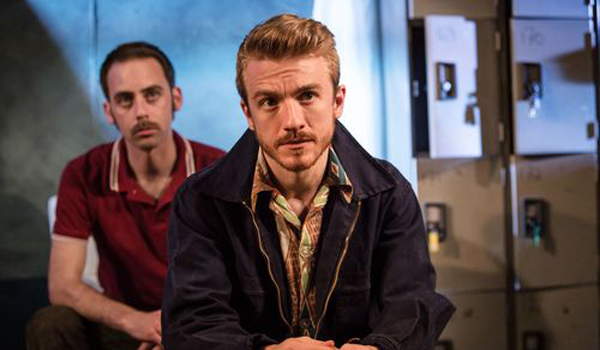 Steven Webb stars as the devilishly charming Rich, who announces, as he prepares to leave his loving long-term boyfriend, Saul (David Poynor) for the young Chet (Giles Cooper), that he has AIDS and in essence, at that time in history, he is also announcing his death sentence. From the first moment, Steven Webb had me on his side. I must admit, I didn’t really believe in the performances; that they were gay Americans living in NYC in the 1980’s. They all seemed too young, didn’t seem to look or sound the part, and I didn’t believe who they were telling me they were, but regardless, emotionally, I was there with them. This had the largest amount of suspension of my own disbelief experienced in a play in a time, but for some reason, I just wanted to, for Rich’s sake. Not for the others, but only for his. Maybe I just really wanted to feel this play, and I wasn’t going to let those pesky actors get in the way. So it must have been my desire to end my four night London theatrical tour with a heart felt play. Even though David Poynor’s Saul didn’t quite ring true for me, and even though Giles Cooper’s Chet seemed slightly dull and not worthy of anyone leaving anyone for, I still wanted to join with Rich and ride with him on this journey. 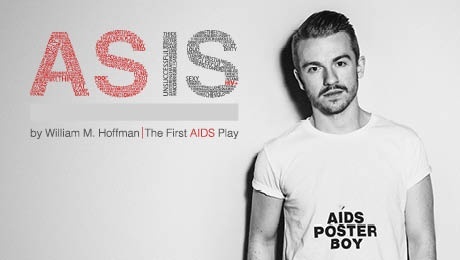 This play is not so much about AIDS as it is about fear and ignorance, and about overcoming intolerance and misunderstanding to embrace the ones we love. The brother, played lovingly by Dino Fetscher, gave us that, in a beautifully touching scene in the hospital. It is one of the most fully realized scenes in this slightly messy and miscast play, that I ended up liking As Is, maybe not as much as I wanted to, but enough to end my week on a fine note. I’m glad to be home, back seeing Broadway, off-Broadway, and those lovely free playbills.